This is the miracle and wonder story. When I completed the spiritual art of Miraculous Muse, I didn't know her name, and tried to search "miraculous muse" via internet, but couldn't find, but, I am sure the Miraculous Muse is exist, and I can see her vision like I painted. And I believe she is in Myth. I asked her please tell her name, 10days later, she noticed me via some ancient Roman Coin, her name is "Felicitas". One of Roman goddess, she is the goddess for kindness, charity, love, romance, joy, success, luck and welfare. and also the Symbol of Rome. So she is the Miraculous Muse ! 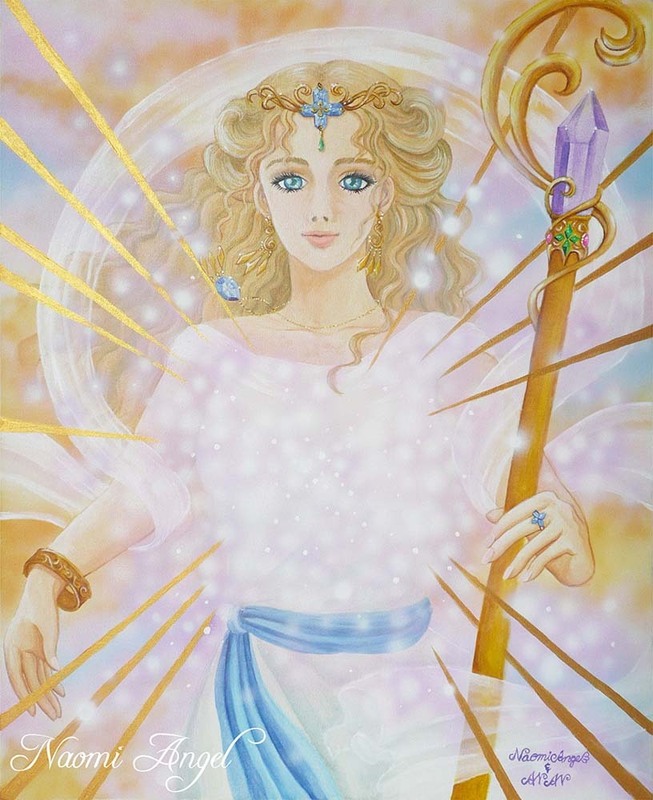 And, surprisingly, Felicitas in the coin, she also has a long magic wand with top opened widely, and wearing long shawl and a tiara, just I saw in my vision and I painted. So, the Miraculous Muse is Felicitas. I cried when I found her name. Yes, that is my work as a Spiritual Artist. Her tiara and ring's 4 jewels stone means "Love" "Health" "Wealth" and "Honor". You can get the original painting on my website shop. But, Please let me know, before you will get, because I need to check if I can ship it to your country and size limit.